Searing, hot weather didn’t deter up to 300 chefs, restaurant owners, food distributors, serious foodies, industry and media from flocking to the Food and Agribusiness Network’s (FAN) highly successful, second Meet the Makers 2019 event. 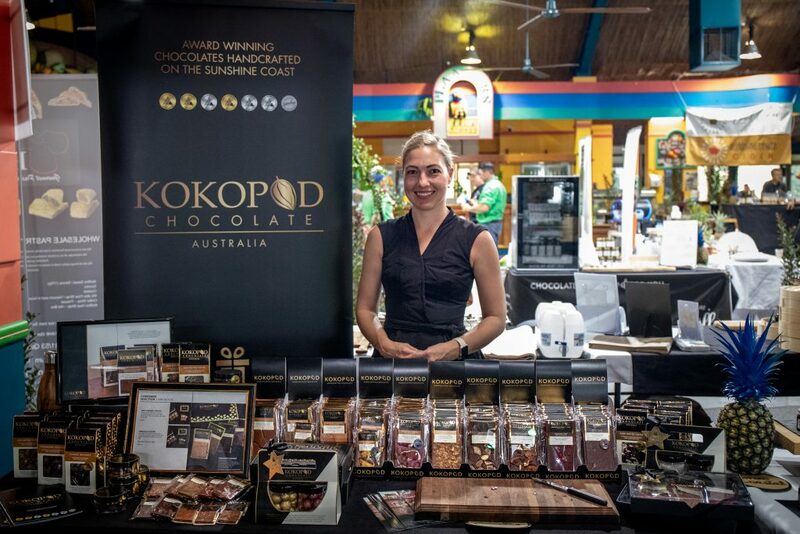 Held on March 11, it marked the largest food trade show ever held on the Sunshine Coast. Up to 65 producers from the Greater Sunshine Coast region showcased their produce and products to the appreciative crowd. Despite the heat, there was a great vibe in the room, with lots of new opportunities established between local producers and new industry contacts. This entry was posted in News and tagged FAN, farmers, food, Food and Agribusiness Network, foodies, Meet the Makers, MTM19, produce, The Big Pineapple.